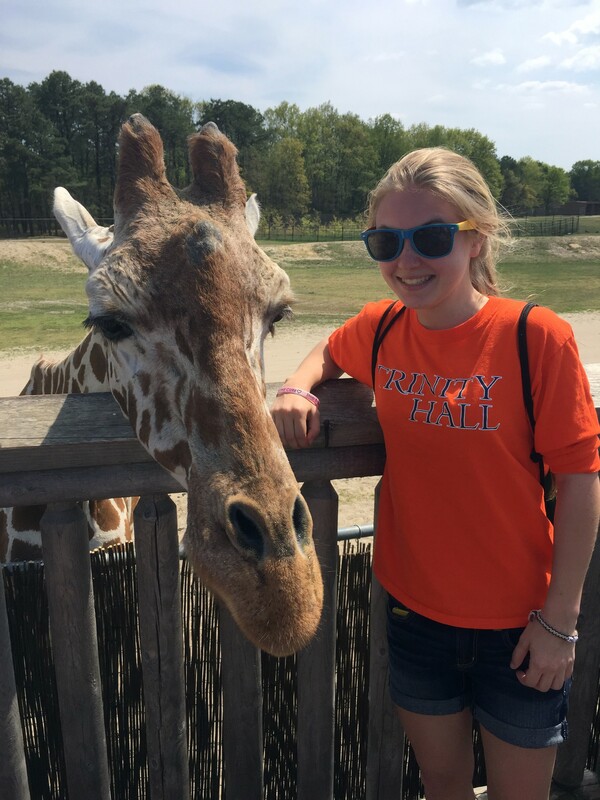 Holly K. made a new friend during the Six Flags Physics Day field trip on May 8. Photo by Olivia DeNicola. The entire student body and many faculty members took a trip to Six Flags Great Adventure in Jackson on May 8 for the theme park’s annual “Physics Day.” While riding the roller coasters, students collected data, which they later used to complete a packet of physics problems relating to the rides at the theme park. STEM teacher Faina Tarasyuk coordinated the event to give students the chance to “see physics in action, and learn and have fun at the same time.” Tarasyuk hoped that this trip would teach the students about conservation of energy laws, potential and kinetic energy, and gravitational force through an enjoyable and memorable experience. Before Physics Day, the freshman class built small versions of their own roller coasters as a physics experiment, so this trip helped them see the principles and mechanics in action. “I learned about all the physics that are used when making roller coasters,” freshman Sophia Bellavia said. 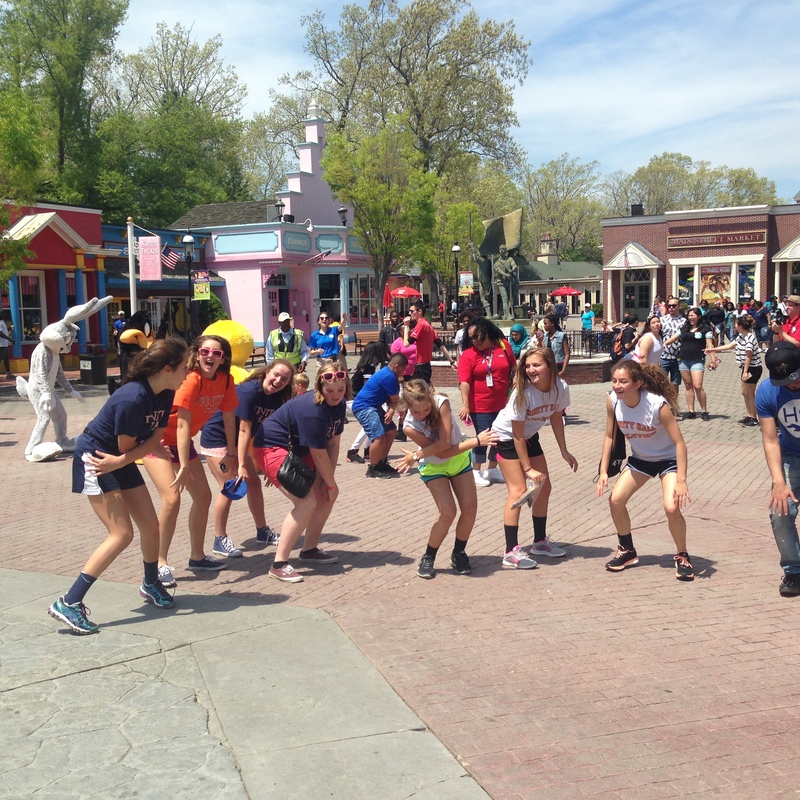 Students enjoyed dancing with the theme park characters during the Six Flags Physics Day field trip on May 8. Photo by Alyssa Morreale. Even students who are not fans of roller coasters enjoyed the field trip. Freshman Gretchen Richardson said she still had fun and was able to complete the work easily despite her fear of roller coasters. Tarasyuk said the trip met her expectations in terms of both enjoyment and education. “I was impressed with some of the assignments that students submitted because I never taught [the material] to them, and I was impressed with the students’ teaching themselves and learning all of the information.” Tarasyuk hopes that this will become an annual event for physics students. June 8, 2015 in Archives.